When we don’t like the shoes we wearing, we change them. If the outfit we’ve chosen is not up to par, we take it off. But when our skin experiences “vanity disruptions,” my nickname for blemishes, there isn’t always an easy immediate fix. The ability to unzip our skin when imperfections appear is a wish of mine that will, unfortunately, never be granted. This reality is much harder to accept when dealing with skin blemishes that have a lasting effect on our mood and self-confidence. Skin conditions are on a spectrum that can range from purely cosmetic to life-threatening. Thankfully for people with Keratosis Pilaris, this issue is closer to the “purely cosmetic” end of the spectrum. That being said, it can still be an incredibly irritating and mystifying issue to deal with. When there is a build up of keratin on the skin, it can form plugs that clog the hair follicle.These plugs are dead skin cells that often appear as dry patches of bumps (follicular keratotic papules). The bumps can vary in size and color. According to the Mayo clinic, “No one knows exactly why keratin builds up. But it may occur in association with genetic diseases or with other skin conditions, such as atopic dermatitis. Dry skin tends to worsen this condition.” The tiny bumps are typically on the upper arms, thighs, cheeks or buttocks. Often, the areas of the skin with bumps tends to be dry and rough. The appearance of the bumps are what give this skin condition its nickname, “chicken skin.” The bumps are raised on the skin in the same fashion as a chicken whose feathers have recently been plucked. Keratosis Pilaris is a benign, typically painless skin condition that affects both adults and children. This genetic condition is autosomal dominant(the mutated gene is a dominant gene located on one of the nonsex chromosomes (autosomes). You need only one mutated gene to be affected by this type of disorder. ), and there is currently no cure for Keratosis Pilaris. But, there are a number of practices that may help reduce the appearance dryness, redness, and bumps. There are a variety of ways to exfoliate your skin. Whether your preference is body scrubs, exfoliating gloves and towels, or dry brushing, all of these options are effective in helping the clogged hair follicles caused by Keratosis Pilaris. Whatever you choose, be kind to your skin by gently utilizing your preferred method. It is not recommended to combine any of the listed practices. For example, do not use a body scrub along with exfoliating gloves. “Gently” is the word to remember when exfoliating skin with Keratosis Pilaris. Because body scrubs can cause more irritation due to too many ingredients, it may be a good idea to start by making your own at home. This way, you can more easily monitor what you are using on your skin. You can make a body scrub with as little as three ingredients. The main components are the exfoliator (sugar or sea salt), the carrier oil (coconut oil or olive oil), and an essential oil (lavender oil or peppermint oil). 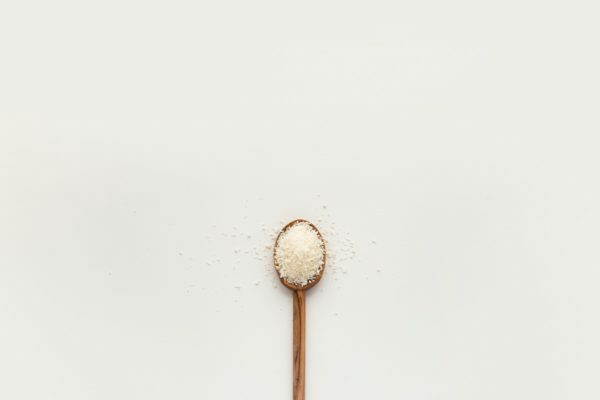 An easy recipe for a small amount of scrub is ¼ cup of coarse sugar, 2 tablespoons of coconut oil, and ⅛ teaspoon spoon of peppermint oil. You can start with this recipe and add to it, or interchange ingredients based on your skin’s needs. Also, be sure rinse thoroughly. The skin on your body is more durable than the skin on your face. Please be aware this scrub shouldn’t be used on your face. Coconut oil is comedogenic and clog your facial pores, and the scrub may be too harsh for the face. If you must exfoliate your face, dry brushing with a Bamboo Face Brush before cleansing your skin may be a better option. The soap you use needs to be chosen thoughtfully. You don’t want to choose a soap that will dry out your skin, or create excess buildup by not removing a sufficient amount of dirt and oils. What soap to look for? The recommended soaps are all natural, non-toxic, vegetable-based, free of chemicals, free or animal fats, and free of synthetic ingredients. These kind of soaps and cleansers are typically found at your local health store, or the health aisle at your grocery store. The soap can also be made at home with ingredients that include a combination of the following ingredients: vitamin E (moisturizes), lavender oil (soothes), aloe vera (cleanses and calms), rosemary (provides protection), and lemongrass (calming and soothing) to name a few. 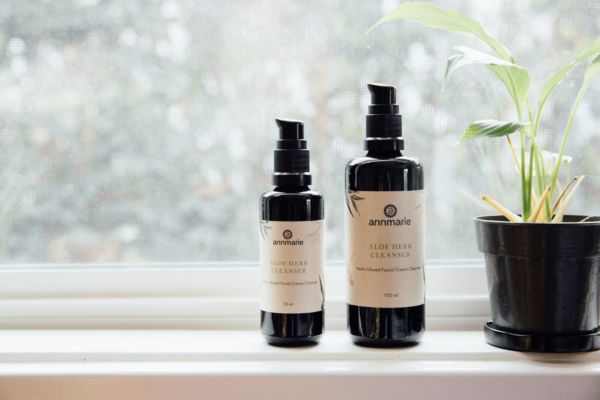 Annmarie Skin Care has wonderful body wash that includes a few of the ingredients listed, and a few more that aide in soothing the skin without drying it out. The Rosemary Peppermint Body Wash is one of my “go-to” body washes when my skin needs a little love. This is the last step of the “combating Keratosis Pilaris” trifecta. You must moisturize every single day. Similarly to the ingredients listed in the “exfoliate” and “mild soap” section, coconut oil, aloe vera, lavender, and Vitamin E are also recommended in your moisturizer. Yes, there is a reason for the repetitive ingredient list. 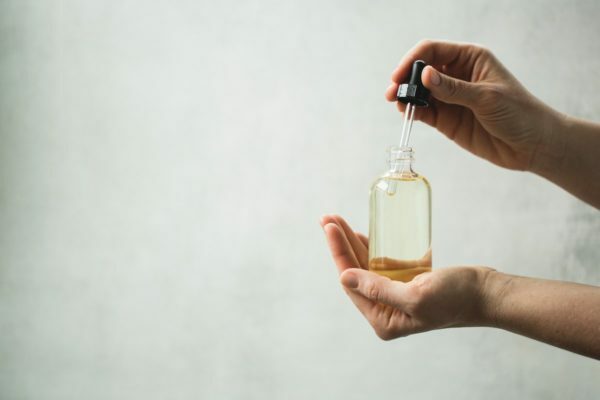 These ingredients are not only easily accessible, but they're also known for their effectiveness when used alone and in conjunction with other ingredients. Previously, I mentioned oily skin and buildup isn’t a good idea. I’m sure you are seeing “coconut oil” and wondering if using it as a moisturizer will be counterproductive to your efforts. It can be, depending the quantity used and the recipe you choose (if you make a DIY version). This why we recommend the Coconut Body Oil. I’m a huge fan of this recipe because you aren’t oily after applying it to your skin and it dries with supple matte finish. It has the ingredients I mentioned, along with others that create a magical combination for your skin. An additional step in the moisturizing process is using a humidifier. Hot, dry, and freezing cold weather can cause additional irritation by drying out the skin. The use of a humidifier can be a helpful tool when combating symptoms of Keratosis Pilaris. If all natural products and DIY remedies aren’t cutting it for you, there are other options. Talk to your doctor about the other treatments out there. There are topical options that contain alpha hydroxy acid, tazarotene, tretinoin, lactic acid, salicylic acid, urea, and other topical retinoids that are used to combat Keratosis Pilaris. These are all active ingredients that can be helpful, but typically need to be recommended and prescribed by a doctor. Pulsed dye laser treatments are also used. Some people have reported seeing improvements after using these products. But since there is no cure for Keratosis Pilaris, using these products is an ongoing process. In the end, be kind to your skin. I know skin conditions and blemishes can cause us to lose patience, and try to speed up the healing process. Remember to pause, breathe, and work to find the best routine for your skin. Do you struggle with Keratosis Pilaris? What natural strategies do you use to help? Share in the comments below. alpha hydroxy acids do not need to be prescribed by a doctor. There was also no mention of vitamin A and essential fatty acid deficiency causing Keratosis Pilaris, which is another major factor.